On 8 March 2018, 200 Teach on Mars customers and partners were together in Paris for the start-up’s first ever Partner Forum. This gala evening featured the Mobile Learning Awards, honouring the best mobile training content in 5 different categories, with the added bonus of a Special Academy Favourite Prize and a Jury Grand Prix trophy. It was an emotional ceremony at a glittering event that bore eloquent testimony to the energy and the passion at the heart of the Teach on Mars ecosystem. This first Partner Forum is destined to go down as a landmark in the development of Teach on Mars – for the first time since its creation, the start-up played host to all of its partners and customers in one place. An important, and one that Vincent Desnot, Teach on Mars CEO, who inaugurated the ceremony, clearly found quite moving. The highlight of the evening was eagerly awaited by partners in contention for the 2018 Mobile Learning Awards. The winners seemed particularly moved to have their work recognized – a fitting reward for authors who have believed in the power of mobile learning through Teach on Mars technology. The evening was also an opportunity to make some exciting announcements. 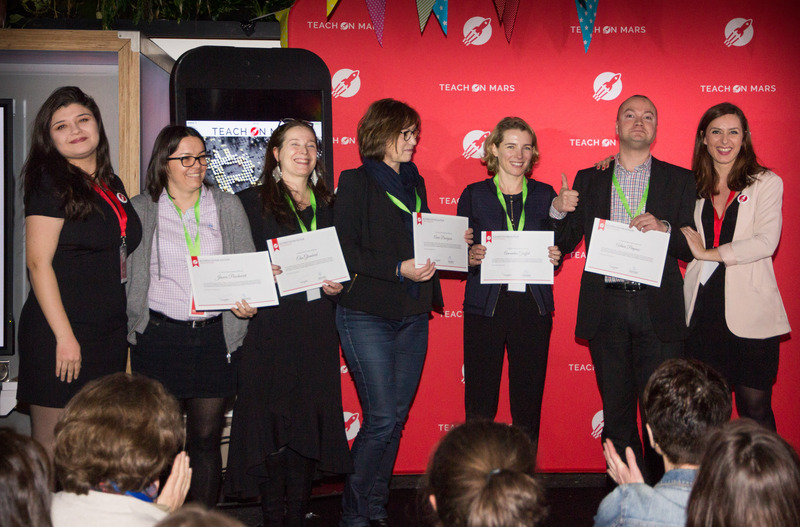 The Teach on Earth initiative, presented by Vincent Desnot, was been set up to lend practical technological support to important causes by facilitating the availability of mobile learning solutions. Two projects have been created for Ecpat France and Inkhata, and others are in the pipeline. The event also marked the official launch of the Teach on Mars Marketplace. A hundred off-the-shelf training programmes have already been listed and divided into 11 categories, ensuring better visibility of their flagship content for publishers and a great way for buyers to expand their training catalogue easily and effectively! The Teach on Mars Academy also took advantage of the occasion to officially award the first Teach on Mars Author Accreditations to six early-adopter partners. Earned through their performance in a series of rigorous theoretical and practical tests, this accreditation is a fitting reward for this first generation of mobile learning authors. And for Teach on Mars it’s a critical guarantee of the quality of service it offers its customers through its certified partner network. Congratulations to them all! Another special announcement was the opening of the new Mobile Learning FabLab. This project is the result of a partnership between Teach on Mars and IFCAM, the Crédit Agricole bank corporate university. Free public workshops will be held every Friday at IFCAM’s premises in Rue la Boétie, Paris, allowing owners of mobile learning projects to exchange ideas, work together, devise mobile training content … and maybe even prepare for next year’s Mobile Learning Awards? A big thank you to all the onstage presenters and those who worked tirelessly backstage to make this event such a success. See you all next year! See photos of the evening on the Partner Forum website. “Very excited to be at @VillageCAParis with the @My_Mooc team for the first @TeachonMarsfr Partner Forum ! 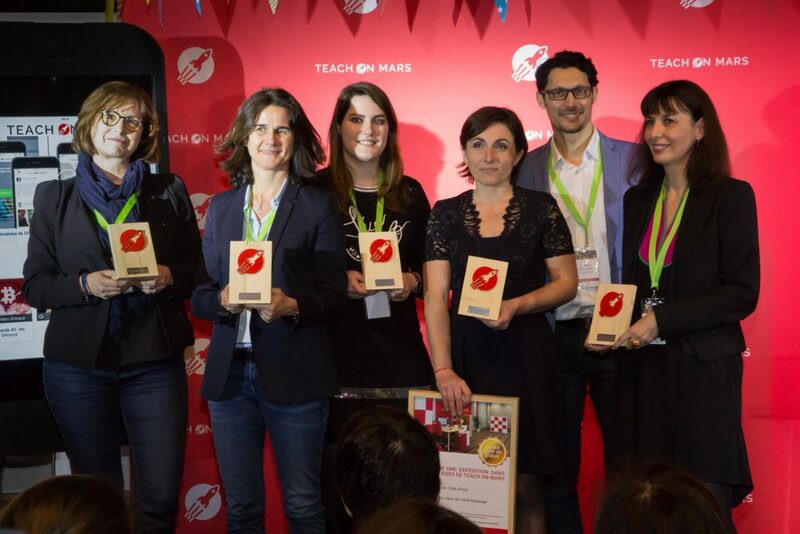 #TOMPF18 Très belle cérémonie des #MobileLearningAwards organisée par notre startup @TeachonMarsfr ! After ten years of planet-hopping througout the learning and communication universe, Marielle decided to land on Mars where she now heads up the Academy, helping content authors and trainers get the best out of the Teach on Mars solution.